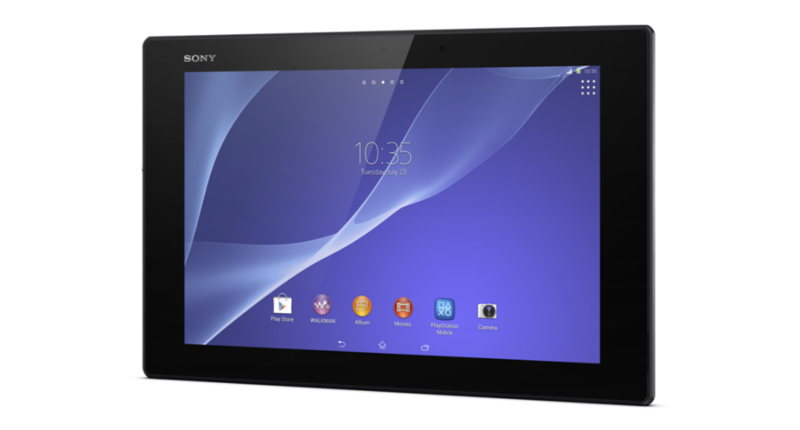 The Xperia Z2 Tablet from Sony has received official pricing and availability confirmation from Sony, with the tablet hitting retailers on May 4. The tablet is priced at $499.99 for the 16GB model, while the larger 32GB model is priced a bit higher at $599.99. Sony’s Xperia Z2 Tablet is the world’s first 10.1” tablet display with Full HD TRILUMINOS and Live Color LCD technology, giving it one of the better tablet displays currently available. The display’s resolution sits at 1920 x 1200, with the Z2 Tablet also featuring a few other notable specs. The tablet features a Qualcomm Snapdragon 800 processor clocked at 2.3GHz (2nd Gen.), 8MP rear-facing camera, water and dust resistance, and comes running Android 4.4 out of the box. Ready to get your hands on it come May 4? You can pre-order the Z2 Tablet here.